Derma Medical is a worldwide training centre of excellence in Aesthetic Medicine offering Dermal Filler & Botox Injection Training courses. We are Europe’s number 1 cosmetic injectables training provider and are committed to the highest standards of non-surgical aesthetic training in line with the latest regulations. At our Portugal training academy, we will guide you on your journey from beginner, to advanced to expert level through our step-up pathway. Our combined foundation and advanced courses will teach you all 18 popular Botox and Dermal Filler cosmetic injectable procedures. We offer Foundation, Advanced and Combined Courses in Portugal for Doctors and Dentists looking to start practising in Dermal Filler & Botox Injections immediately. 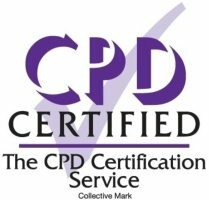 Our landmark-based and internationally recognised courses will equip you with the knowledge and skills to carry out the most commonly requested cosmetic injectable treatments confidently upon completion of your training. Internationally, we have training academies in the UK , Australia, Sweden and the UAE where we offer the same high-quality landmark based Dermal Filler & Botox Injection Training courses. Why choose Derma Medical Training Academy? Went on the combined course with these guys – I was so impressed with the whole course, the instructors and level of professionalism. I feel confident in carrying out the procedures they taught, as well as managing any issues that may arise. Thanks so much for the brilliant course – can’t wait to get started with some cases! The Derma Medical Australia advanced course was extremely well structured with excellent, highly skilled trainers. A very beneficial training course for both novice and experienced injectors. I would highly recommend Derma Medical training courses. This course was one of the best i ever attended. In two days i was able to learn all the 18 main procedures in aesthetic medicine, closely supervised for every single injection i have done. Even after the course the communication and care continues. Interested in becoming a cosmetic model on one of our training days in Portugal? We are looking for both male and female models for our supervised sessions. All our trainers are very experienced practitioners that run their own clinics. The delegates on the day would have completed their prior theoretical material and will need to put this into practice. As such we are looking for models keen to receive discounted dermal filler & anti-wrinkle injection treatments, for the purpose of teaching our delegates. Our practitioners will be up close and supervising all treatments, so you’re in safe hands!